NORTH CAROLINA 87, Creighton 73 – With a little less than five minutes to play the Creighton Bluejays scored five straight points and looked like they might make a run at top-seeded North Carolina. The reliable Barnes was having his typical solid, but not spectacular, game playing against his old high school teammate and NCAA Player Of The Year candidate Doug McDermott when he promptly nailed back-to-back three pointers to end any thoughts about a mid-major comeback. The bad news is point guard Kendall Marshall (18 points, 11 assists) broke a bone in his right wrist. The Tar Heels floor leader is left-handed. Coach Roy Williams confirmed the injury after the game, and said he would talk to Marshall and his parents about his status Sunday night. John Henson had 13 points, 10 rebounds and four blocks in his return from a wrist injury, helping the top-seeded Tar Heels (31-5) reach the round of 16 for a record 25th time. 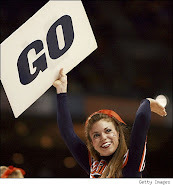 The junior had missed the last three games after spraining his left wrist during the Atlantic Coast Conference tournament. Doug McDermott scored 20 points for the eight-seeded Bluejays (29-6), who shot 41 percent and couldn't keep up with the hot-shooting Tar Heels. The top-seeded Tar Heels (31-5), who reached the round of 16 for a record 25th time. North Carolina got off to a fast start and built a 15-point lead in the first half, then kept control and pushed the margin to 19 after the break on the way to its second straight double-digit victory in the Midwest Regional. Henson's return overshadowed the reunion of McDermott and UNC's Harrison Barnes, who teamed together to lead Ames High School in Iowa to consecutive state championships and unbeaten seasons. McDermott came in averaging about 23 points and eight rebounds, while Barnes was leading the Tar Heels in scoring at about 17 per game. That matchup never materialized, with Henson and freshman James Michael McAdoo getting most of the defensive work against McDermott. Barnes finished with 17 points on 7-for-19 shooting, including back-to-back three-pointers noted earlier. Creighton came in leading the country with a 50.7 percent shooting average, but it couldn't figure out a way to put the on-the-attack Tar Heels on the defensive. Meanwhile, North Carolina buried shot after shot in the first half to build a 39-24 lead on Barnes' three-pointer with 5 1/2 minutes left. UNC led by eight at half, but Creighton never got closer after the break. 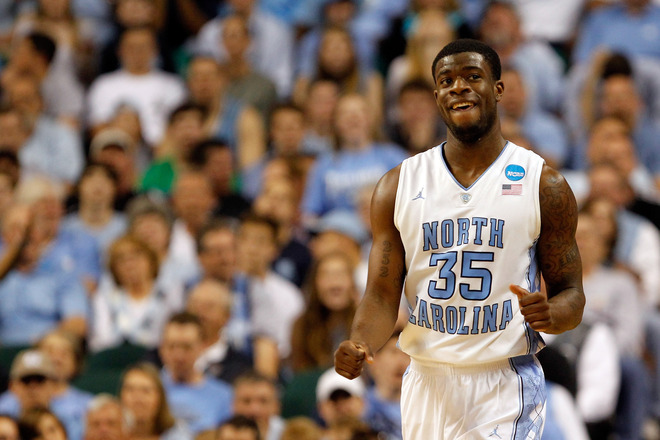 Reggie Bullock added 13 points and eight rebounds for the Tar Heels, including three 3-pointers.